Every HIT associate, from the CEO, to the field sales Rep, is committed to the company’s foundational principles of Honesty, Integrity, and Trust. In fact, these concepts are so deeply ingrained into the operating practices of the company that they form the very name, H.I.T. 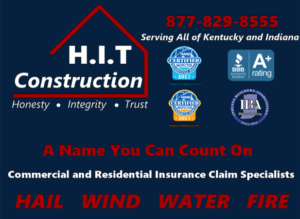 It’s more than a name, it’s a way of life for the team members at H.I.T Construction, LLC. HIT Construction is known for it's reputation and thoroughness. You can rest easy knowing that your home and your interests are well taken care of! HIT Construction has the experience to help guide you through the process of evaluating the damage to your home and providing an accurate damage estimate to your insurance company. Well, I am here to tell you, in most cases the answer is yes. But first, you will have to deal with the Adjuster. Adjusters are professionally trained and financially motivated to minimize the scope of your damages, regardless of the impact it may have on your property value and happiness. At H.I.T., we think that is unfair. After all, you pay for your policy, and you should feel comfortable using it when the need arises. That’s where H.I.T comes in. 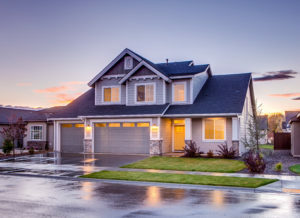 A leaking roof or faulty gutter system may go unnoticed for years before it becomes visible to the untrained eye, and when it does the repair costs can quickly skyrocket out of control while your property values plummet. Your personal H.I.T. Restoration Consultant (RC) will perform a free inspection to identify, document and repair covered damages before they turn into costly nightmares. We understand that your home is most likely among your largest investments and we will go to bat for you against any Insurance Adjuster to ensure that your home or business property value is protected from the elements. Once we have identified and documented your covered damages, your Restoration Consultant will help you file your claim and meet with the adjuster to get your claim approved. This is where it gets exciting. 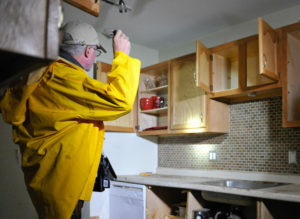 Once the claim is approved, the restoration work begins and your worries are over. Your dedicated Consultant will meet with you to select materials and colors; and go over the restoration plan with you in detail before work begins. At all stages of the project, you’re the boss, and we are there to help. H.I.T.’s clients enjoy a direct line of communication with their Restoration Consultant at all phases of their restoration project. Any project issues or client questions are addressed in a timely and professional manner, by people who sincerely care about your restoration needs.